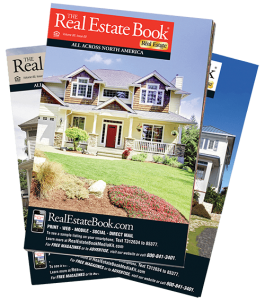 Many home sellers I meet ask me if I advertise in real estate magazines (or real estate books). Before I advertise any home in any type of media, I want to know if it will help to sell the home. And according to the National Association of REALTORS, real estate books and magazines result in less than 1% of home sales nationally. These publications are available just about everywhere – grocery stores, malls, newsstands, etc. So why are they so ineffective? I have thought a lot about this, and the answers are fairly obvious. But you have to think like a buyer. How do buyers find the homes they eventually buy? More than 75% of the time, they find them online or through their buyer’s agent. So what is it about home books and magazines that makes them useful in less than 1% of home sales? 1. Real estate magazines are not searchable. 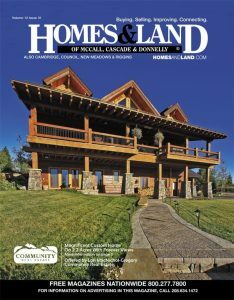 When was the last time you picked up a copy of Homes and Land, or perhaps the Real Estate Weekly? Did you skim through it? Did you pay attention to how the listings are sorted? In most cases, you will see colored page edges indicating a geographical area (such as Asheville, Hendersonville, Black Mountain, etc.). Within those sections are pages assigned to individual real estate companies. So, Coldwell-Banker may have a couple of pages for its listings, Keller-Williams may have a couple of pages, and so on. On one page of Keller-Williams listings, for example, there may be 20 listings, including mobile homes, vacant lots, condos, and luxury homes. Unfortunately, the only way to search for the type of home you want is to look at every listing on every page. 2. Real estate magazines are extremely limited in geographic reach. The Asheville market is very much a second-home market, and as you get into higher price ranges, there is a higher chance that your buyer is coming from out of state (or at least out of town). If your buyer is shopping for a home from their computer in Miami, New York, California, or overseas, they are only going to see listings that are promoted online. If a buyer in Miami goes to the local grocery store and picks up a copy of the Real Estate Book, guess what they are going to see? That’s right – waterfront condos and beach property! Only people shopping for groceries in Asheville will see Asheville properties! 3. Real estate magazines have outdated and incomplete information. Real estate listings and prices change every day – sometimes multiple times per day. Photos are updated, property descriptions are edited, prices are reduced, and listings are changed from Active to Pending to Sold. Printed media like real estate magazines have lead times – there is a deadline for the ad to be submitted, time for printing, and then the magazines must be distributed to racks and boxes all over the area. All of this takes place before the reader even picks up a copy. By now, it has been several days since the ad submission deadline, and no doubt many of the listings have been changed in MLS. 4. 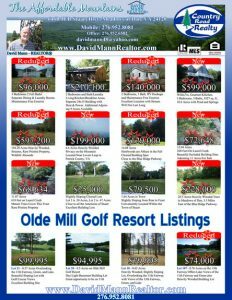 Real estate magazine ads provide limited property descriptions and usually only 1 photograph. Most of the ads in books and magazines consist of 1 photograph, a brief description, and contact info for the listing broker. A few agents spend a lot of money for the front cover, the back cover, or larger ads, but even those ads suffer from the other shortcomings already discussed. When you’re trying to squeeze a photo and a description into a 1/4-page or 1/8-page ad, how much can you really say about a property? So, why do real estate agents spend money on these advertisements? There are a couple of reasons, and one of them is actually a good one (for the agent)! 1. Agents advertise in real estate magazines to make their sellers feel “warm and fuzzy.”Sellers see that their agent is doing something to try to sell their home. Unfortunately, if the agent is really doing this to sell their home, then they are probably out of ideas, and they really don’t know how to sell the home. Otherwise, why would they spend money on an ad that has less than a 1% chance of success? 2. Agents use these ads to promote their real estate company. This actually makes sense – if a local homeowner is looking to sell a home (and is in need of an agent), he/she may pick up a copy of a publication and look through it to see who has a lot of listings, who is spending money on ads, etc. From the standpoint of gaining exposure to potential sellers, advertising in real estate books makes sense. But remember, there is less than a 1% chance that a buyer will find the home they buy in a real estate magazine. So if you’re selling your home, hopefully your agent knows of much more effective ways to market your home.